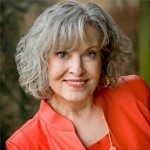 Simply put, Jan Fox – speech coach extraordinaire, four time Emmy winner, author, and keynoter – is a dynamo. If you get a chance to hear one of her presentations, do NOT miss it! She’s amazingly engaging and informative. I recently had the chance to talk with her about the changing role of CEO speeches in the business world. JP: How important is public speaking for an executive? JF: Research shows that public speaking is the number one way to grow business. I think that’s especially true for a local business. The best advertising is face to face, so a CEO has to find a platform where he or she can speak to an audience. If a CEO is or wants to be a thought leader, it’s all the more important to be seen and heard. JP: There have been a lot of changes in business and in communications technology in recent years. What impact have they had on CEO speeches? JF: Sequestration, the ups and downs of the economy, smaller staffs, bigger workloads…when there is so much change going on, how a top executive speaks about change will determine how the people will follow – employees, investors, customers. At the same time, Twitter, Facebook, and other forms of social media have changed the way people respond to words. Now leaders have to be able to speak so their audiences can visualize what they’re talking about quickly. They have to speak in 12 -15 word sentences. Active voice. If they want the audience to remember anything they say, they have to use more stories. That can be very difficult for executives who are used to speaking in statistics and charts. JP: As you know better than anyone, many CEOs are not only poor speakers, they are scared to even stand in front of an audience. How do you help them change? Instead, I often coach from the outside in, looking for the small ways speakers are holding themselves in – clutching their elbows to their rib cages, crossing their hands over their belly buttons, their faces down as if to drool on their shoes. We make a few simple changes, they see themselves on a simple iphone video, and they start to feel more relaxed and confident. JP: How do you build on those first small changes? JF:I might have them throw away their script, and just write down a few words from each paragraph of the presentation. I’ll say, “Now just tell it to me.” I’ll show them how to build a visual power point – all pictures or graphics. They can look at the visual and say the whole speech without memorizing anything. They’re shocked that they can do it! I’ll ask them, “What happens if you take a couple of steps to the right or left of the podium, and just tell people what you know, as if you were chatting with friends at a bar or in your living room?” They become “one of the group” – not alone at the front of the room. At some point in the process — and you can never tell exactly where it will be – a light bulb comes on. They start to get it — to get comfortable with speaking. Once that light is on, everything else in the coaching process flows very smoothly. They won’t go back to being stiff, stilted, scared, and quickly forgotten. To learn more from Jan Fox, check out her Web site, and her books and articles. This entry was posted on Wednesday, October 22nd, 2014 at 8:30 am and is filed under CEO speeches, Presentation Tips, Q&A. You can follow any responses to this entry through the RSS 2.0 feed. You can leave a response, or trackback from your own site.